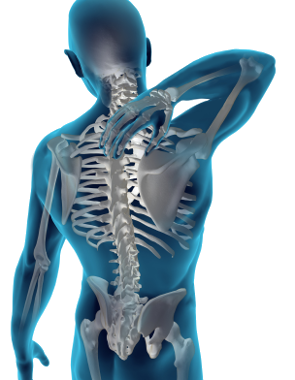 At Adrian Chiropractic we are experienced in treating a large number of conditions. We have experts who can help you with anything from weight loss and exercise to disc problems and pinched nerves. We strive to not only provide the best care and treatment, but also to do so while treating our patients with compassion, dignity and respect. Back pain is one of the most common chronic pain conditions. Many people go years without relief, and are unaware that there are many safe methods to treat their condition. At Adrian Chiropractic we can help you find relief using spinal manipulation, decompression, and physical therapy to help get you back to normal. Neck pain is another condition that people often deal with long-term without seeking relief. Bad neck pain can even cause pain to radiate upward and cause headaches. Whether from an injury, or from bad posture, we can help you get rid of your neck pain. Headaches can be a painful affliction, especially if they are recurring and frequent. Headaches are often a result of tension in the body, we have methods for relieving tensions, and making those recurring headaches a thing of the past. Carpal tunnel can often first be identified by numbness in the thumb, the index finger, and the part of the ring finger. Eventually this can turn into pain or weakness. Whether your symptoms are more severe, or just starting, we can help you find relief. Disc injuries can occur all along the spine, although the most common disc injuries are in the lower back or neck. Many types of disc injuries can be treated through non-surgical means, especially if handled early. We have several treatments that can help, including Decompression. Leg injuries can take a toll on your everyday life. Suddenly it hurts to walk, and can be just plain miserable. Luckily, at Adrian Chiropractic, we have several treatments that can help you in your recover, including physical therapy. Whether you’ve injured your shoulder doing sports, lifting something, or through some random twist, we can provide physical therapy to help you recover and get back to normal. Pinched nerves can cause severe pain, numbness, or tingling, sometimes even radiating down the limbs. We can help you to be pain free again by relieving the pressure of a pinched nerve, and working it free. Numbness or tingling can be a frustrating problem. Although there isn’t always associated pain, like in other conditions, numbness and tingling still affect the quality of life. Whether the numbness or tingling is from a pinched nerve, a disc injury, or something else, we aim to help you get feeling back to normal.